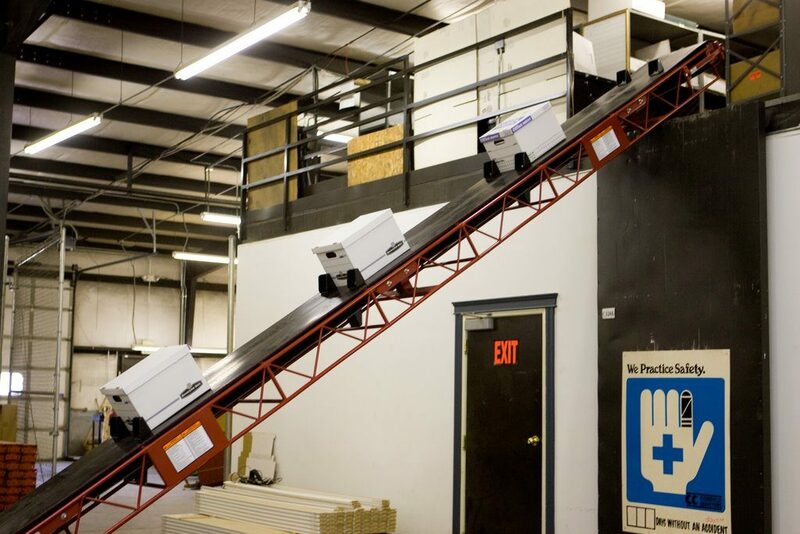 The TR3-Series of conveyor belts are designed to move materials from one level of a building to another. 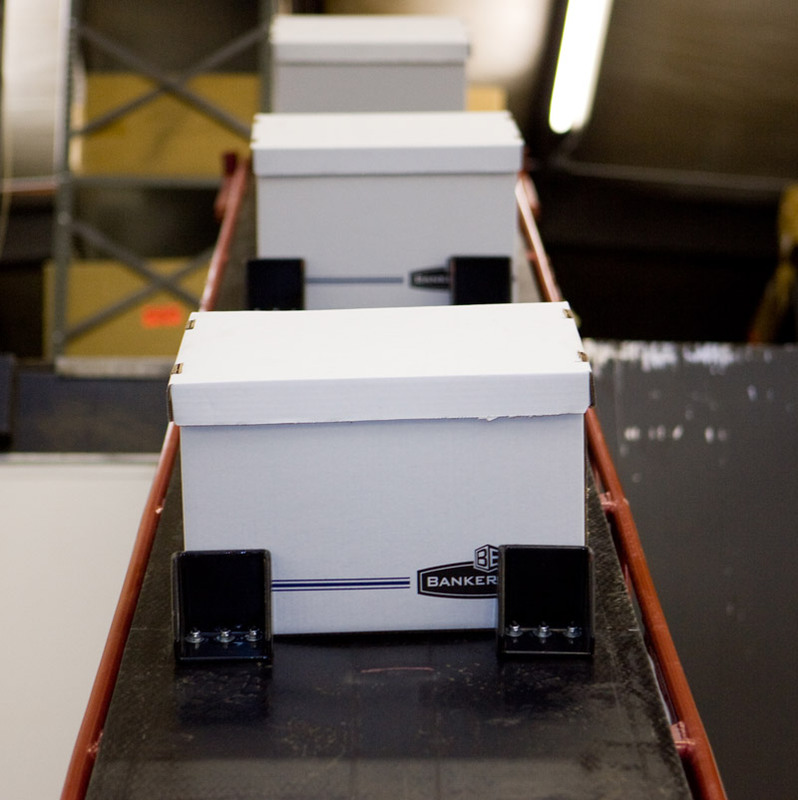 While our other belt series are primarily used to handling loose materials, like dirt, sand, and gravel, the TR3-Series is used mainly for boxes, containers, bags, and sacks. 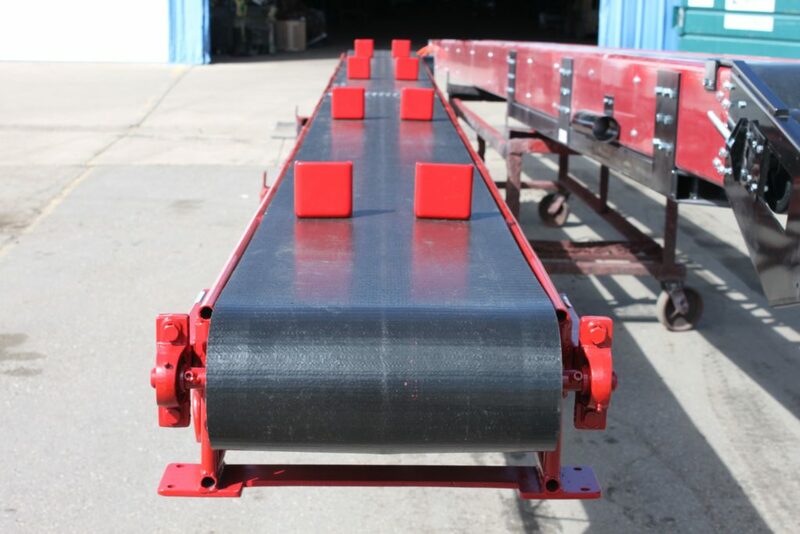 If you need to move bulky objects, either small or large, from one story to another, these belt conveyors are the material movers that you need. 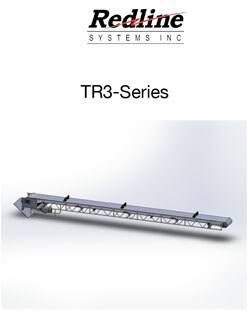 The flat-top slider beds of the TR3-Series conveyors are available in 16 and 20-inch widths. 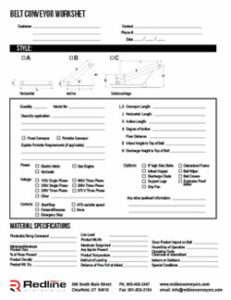 The belt is made of two-ply black 150 belting and is available in either a rough or smooth surface style. 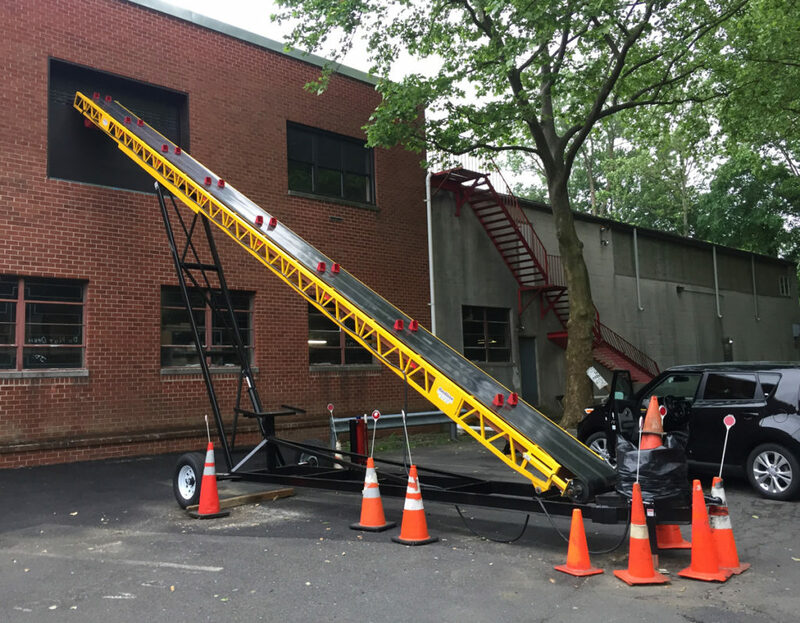 The standard conveyor lengths range from 10 feet up to 28 feet in two-foot increments and a 31-foot model is also available. 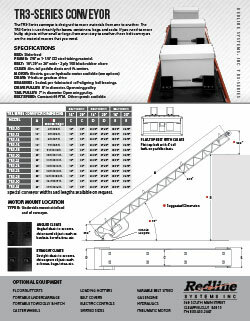 If you need a custom length for your application, Redline Systems can work with you to build the conveyor that exactly suits your needs.